The Head CXG Comfort Grid technology is a special cushioning system that offers less foot fatigue on all playing surfaces in conjunction with increased and faster manoeuvrability. Head Cooling System creates a dynamic “climate control” system within the shoe, which results in maintaining ultimate breathability by absorbing and releasing excess heat build-up. Head Radial Contact is a low profile design that features special elements, which ensure a constant point of traction. 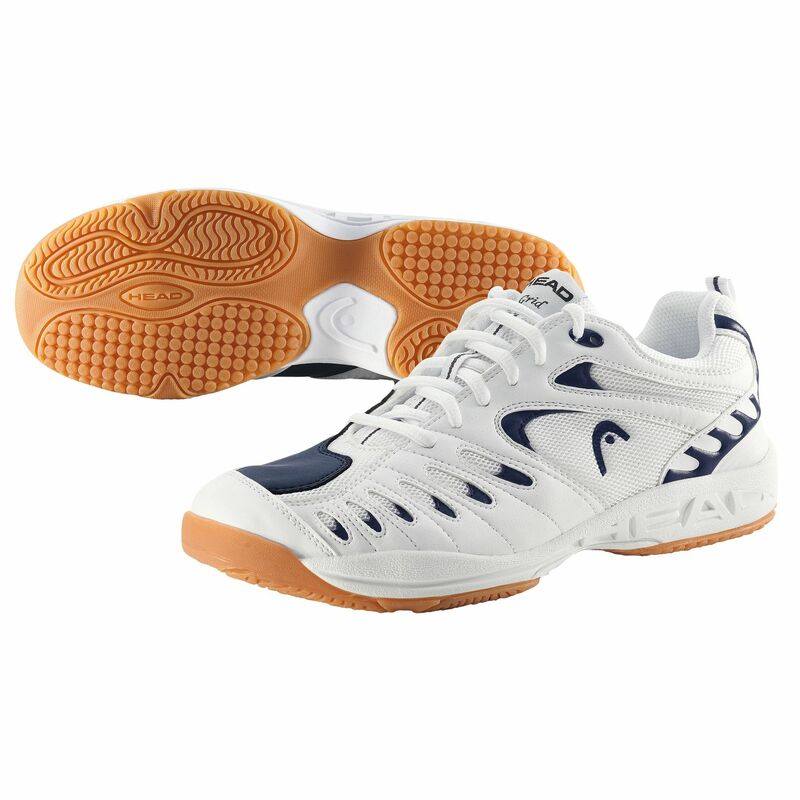 With this design, the player is provided with optimal stability, maximum flexibility and manoeuvrability. HyBrasion technology is a high abrasion compound rubber formula specifically designed for the high stress areas of the soles that provides protection and outstanding durability. for submitting product review about Head Grid Womens Court Shoes.